And yet, six decades after his death, this brilliant Jesuit paleontologist and visionary still remains a largely unknown commodity. His prophetic insights are yet to be fully acknowledged and assimilated by either science or religion. To most secular scientists he’s way too mystical; to traditional Christians, way too heretical; to integral evolutionists, way too Catholic. So people tend to walk around him — usually with a polite nod of the head, but no real engagement. What a tragic loss! For today more than ever, our planet is desperately in need of authentic vision and wellsprings of hope. In this long-awaited e-course, master teacher Cynthia Bourgeault will lead you step by step into the heart of Teilhard de Chardin — both figuratively and literally. Though 15 email messages you will learn your way around the basic building blocks of “The Teilhardian Synthesis,” his great overarching vision. You’ll catch moving glimpses of his life and the spiritual resources he drew on to keep himself going through long years of struggle and exile. You’ll get to work with some of these resources directly through spiritual practices based directly on Teilhard’s writings. You’ll also find a veritable treasure chest of additional resources to help you dig deeper if you’re so inclined. It’s been a rocky year for our planet, filled with upheavals and rude awakenings. Let’s begin the New Year (a bit early) with a firm resolve to find a better vision. 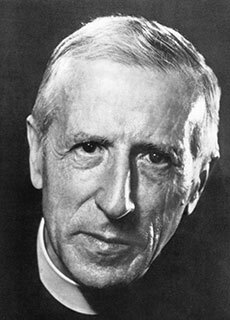 It’s high time for this hidden treasure called Pierre Teilhard de Chardin to become better known.